Earlier in the year I created a series of posts based on the book, Turn the Beat Around: The Secret History of Disco. I finally got around to finishing some of the entries I left hanging. This installment is focused on the New York City danceclub The Funhouse. According to Turn the Beat Around, this nightclub was inspired by the infamous Paradise Garage, the avant-garde answer to the glitzy drug-fueled Studio 54. All the clubs were in New York, of course, ground zero for nightlife in the 70s and 80s. 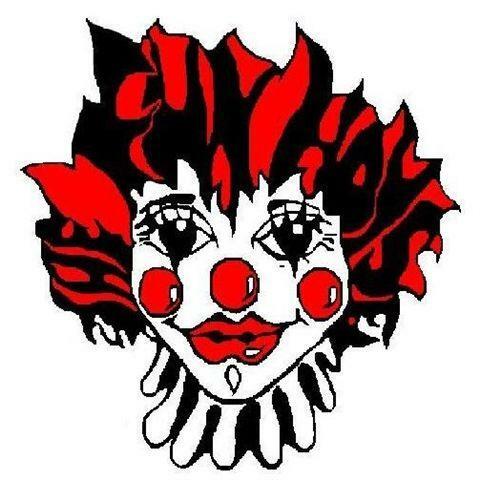 The Funhouse became known for introducing the club-set to new 80s genres like electroboogie and freestyle. It’s also well-known for one it’s most famous DJs: John “Jellybean” Benitez, who later went on to become an internationally famous producer and is well-known for his collaborations with Madonna. Madonna, coincidently is said to have earned Jellybean’s attention by hijacking the DJ booth one night and playing one of her demo tapes which was well-received by the dancing crowd. Below are a few songs Jellybean Benitez was known to throw into his mix set. I never knew this song by name but the opening organ-y melody was well familiar to me upon hearing. The heavy bass drum in the beginning is definitely the first step on the road to House music which would come into being 10 or so years later. What got my dancing shoes moving was the charming sound of a real drum-kit churning out those awesome pre-House beats. The handclaps are cute in a disco way but man, that driving, relentless bass line. I always say who needs guitars in dance music? The message of the song, “spank!” and the “do it, do it” refrain…well, that’s up to you to interpret in any way you see fit. Man Parrish was always known to me as the creator of one of the silliest songs of the Italo Disco/Hi-NRG genre, Male Stripper. Please click the link to listen, please, it’s quite fun. Anyways, there is some debate on whether Hip Hop Be Bop song is considered hip-hop (as in old school b-boy New York, 80s hip hop) or if it’s considered electro (as in 80s electro). Turn the Beat Around refers to it as “electro.” Listening to this song brings on images of breakdancers, ghetto blasters and all that other b-boy style like it’s right there in front of me. Whoosh, I’m in New York, 1982! What a time it must’ve been! By the way, anyone catch the Magnificent Seven bassline line around 1:28? Or is that a nod to Kraftwerk? This one I remember from my kid days in the 1980s, when I’d listen to KROQ obsessively on my little pink Sony radio. It’s one of those cross-genre songs of the time, music that oscillated between new wave, hip hop and freestyle like One More Shot by C-Bank, another KROQ hit. Most of these songs got incorporated into East LA DJ sets due to the prominent break dancing beat. If it sounded sorta new wave all the better for getting the button and trench coat set on the dancefloor. According to Youtube comments and Turn the Beat Around, it was a Jellybean Funhouse favorite. Here it is, The Funhouse danceclub, a small moment of disco/freestyle history captured in an obscure New Order video. There are glimpses of Jellybean in his clownface DJ booth and producer of Confusion, Arthur Baker. Baker was also a well-known engineer of all those elecro beats. The sneaky party girls were real Funhouse clubbers named Mama Juice and Eva. This video is a classic, even recently payed homage to by the band Holy Ghost! The remake sadly proves what little real joy is left in the world, it feels pretentious and awkward, a poor tribute. I found it depressing actually. So don’t watch it unless you wanna see how far we’ve fallen. I loved the article on The Funhouse. I was a regular clubber there every Fri. & Sat. night from ’79-’84. My friends & I hung out in the second floor lounge area. I remember Madonna in the DJ booth with Jellybean when she first started. A friend told me “That’s the girl in the DJ booth who sings the song you like to dance to, her name’s Madonna”. I thought he was lying, I’d never heard anyone outside the bible named Madonna, so the name stuck. Then I heard the song on the radio & the DJ said it was by Madonna! The song was Holiday. Thanks so much for sharing your story about The Funhouse and Madonna. It sounds like it was an amazing time! Too bad the video I originally posted is no longer available, it had footage from The Funhouse. The dancing, fashion and music was outstanding. Do you have any photos? Thank you for continuously posting. I really like your articles and think that they really add a lot of real value. I found this Spotify playlist the other day and think it suits the articles that you have posted. http://spoti.fi/2v7a0MA I hope you enjoy it! Watz good people? I grew up in the 80’s listening to EVERYTHING!!! There was a song on the FUNHOUSE set where the guy on this record was talking so FAST that I could never make out entirely what he was saying but I did catch the end of the hook where he was saying, ” …..it’s just a rush….push,” at least that’s what it sounded like. The beat was PHAT TOO, especially the bass line!!! Does anyone know the name of this song? PLEASE HELP ME!!!! Aaaaaaaahhhhh!!! !